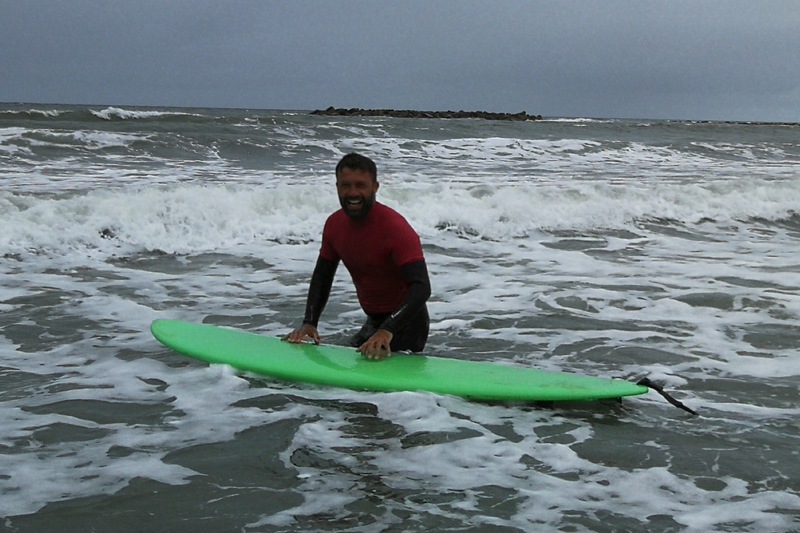 AberAdventures head coach, with 28 years personal experience surfing. Si has surfed Wales, most of the UK's surfable coastline and islands, plus all over the world including countries such as Indonesia, Philippines, Thailand, Australia, New Zealand, Samoa, Senegal, France, Spain, Portugal, Canary Islands and Ireland. 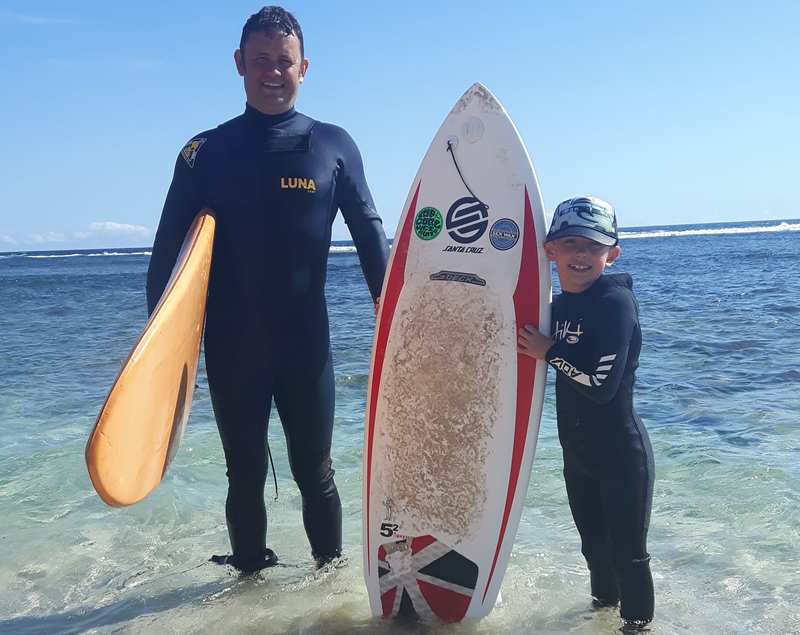 As an experienced competitive surfer, Simon has the experience and knowledge to provide excellent coaching from beginner through to competition level. Also a keen mountain biker when the surf's not happening. International Surfing Association Level 2 Surf Coach. NARS Beach Lifeguard and ISA Stand up Paddle board instructor. "Surfing is not a matter of life and death.. it's more important than that!" Having surfed for many years here and all around the world, including Scotland, Ireland, Maderia, New Zealand, Sri Lanka and Morroco. 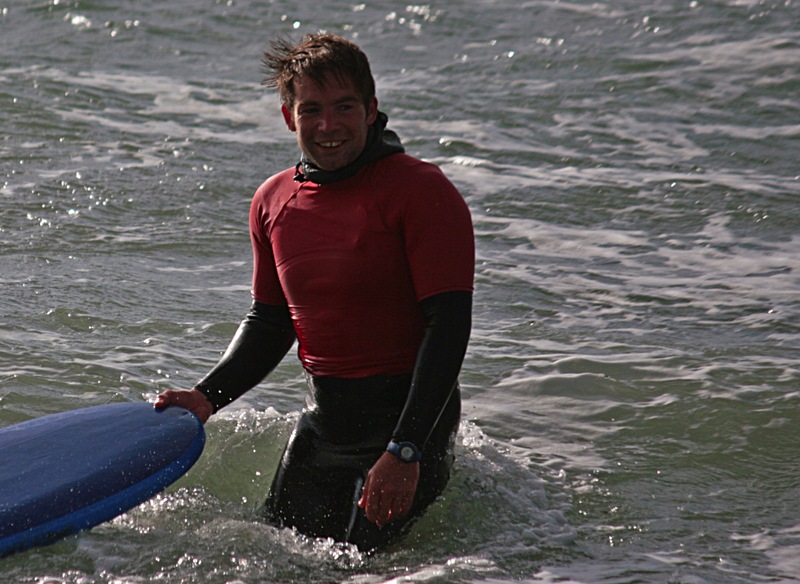 An experienced surf coach, with unparalled water and seamanship skills, on a number of different water going craft. Surfboards, open water swimming, kayaks, SUP's, powerboats and sailing yatches and tall ships, Rhys is a true waterman. Rhys doesnt sit still for long! He is either surfing, mountain biking, rowing or running and also Borth RNLI Lifeboat Helm and volunteer firefighter. How does he fit in time to work!? International Surfing Association level 1 Coach. International Surfing Association level 1 Stand up Paddle BoardCoach. NARS Surf coach Lifesaver Award. Having been involved in sports since he could stand on his own two, in 1991 on a freezing November day hailstones the size of conkers and his backside hanging out of 2 borrowed wetsuits the 1st true experience of surfing was had. Since then Graeme has enjoyed and shared the sport with many. Mainly surfing in Wales at weekends and whenever conditions looked good. Further a field trips to France, Canaries, Hebrides, Orkneys, Portugal, New Zealand, Hawaii, Cuba, Australia and Indonesia have all fed the hunger and the respect of what we have on our own doorstep. International Surfing Association Level 1 Surf Coach. NARS Surf coach Lifesaver Award. "Surf until the Turf…….."
Locally known as Wardy, James knows these beaches better than anyone. Having spent 30 odd years paddling about in the local sea during all weathers. He is also a fully qualified Chef and lecturuer at Coleg Ceredigion. James has always got a smile on his face and a 'shaka' to give encouragment. International Surfing Association Level 1 Surf Coach. 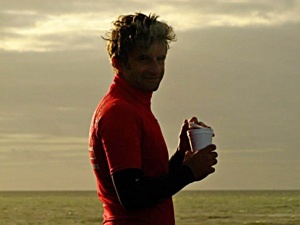 AKA 'Boris' is another die hard local, who has risen through the surf school ranks to become an excellent surf coach. 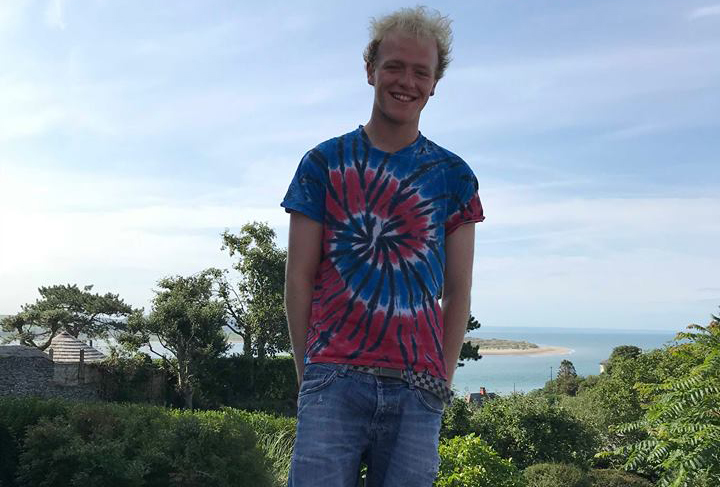 Lewis started surfing Tywyn on his own during primary school and then joining Tywyn school after school surf club. He has further enhanced his surfing ability with trips to France and around the UK. Lewis loves to surf (and his van). He is currently away enjoying the ALps winter Ski season.